These are scenarios of 4 famous companies. which it’s not important to name. Scenario 1 : Your grocery/consumables bill purchase for the month is 10000 Rs. And you buy at a low-cost famous supermarket. Assume, that someone else offers the same set of goods for Rs 9500/- . What would you do. Most probably, you will buy from the 2nd store. Scenario 2 : Let’s say you want to buy a TV. Price is 1 lakh and Rs. 30000/- is your down payment. Rest is 0% EMI (financed by store/manufacturer). There are 2 counters of the financial lenders. First one, who is a very well-known and famous lender, offers 24 month EMI, 2nd one, is not a well-know name but offers a 30-month EMI. Majority of users would use the 2nd option. Scenario 3 : You want to buy undergarments. You go to a store which offers it for Rs. 300/- and is a famous brand. There is/are also other brands, which gives same fabric, elastic, finish but sells the product for Rs 200/- . Most will still go with the 1st option due to the brand pull. Scenario 4 : You want to buy a cruiser bike. You go a showroom of a famous player in this segment who sells it for Rs 2 lakhs. There is an adjoining showroom, which sells a similar cruiser bike with same engine option, etc. and prices it at Rs 1.5 lakh. Most will go with the 1st one as they had their eyes set on that one. The first 2 in this example, are superb companies, with superb execution, but point to understand is that there is no moat. One should not confuse great execution with moat. These can be disrupted in a short period, let’s say 2 years. The 3rd and 4th are also great companies, with great execution, but have a superb moat. Disruption, if it has to happen, will take much longer time, maybe 5+ years. The point, I am trying to make is on valuations front. Do all 4 companies deserve similar kind of valuations ? Just my musings on valuations in some stocks currently in the market. Disclaimer : These are personal thoughts. 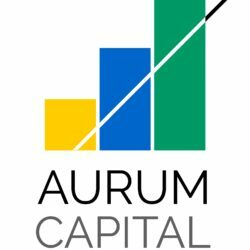 None of these are recommendations/thoughts by Aurum Capital. For Scenario 1 – If the returns on incremental capital employed(ROCE) is higher than market return expectation, there are chances for rerating, even 100PE for such a company can be possible. In this examples we are trying to foresee future which is highly unpredictable. If we look at the past company 1 and 2 are differentiated with others because of there sheer growth rate and they have been capable of maintaining it from past 7/10 years consistently . So one can argue that why it can’t continue say for next 5/7 years . Maybe market is also valuing there past history and believing that it will continue for next 5/7 yrs also. I think markets and valuations are based on predicting the future earnings. Great thoughts Jatin Bhai. Of course the last 2 deserve better valuations becoz they are a kind of ‘Identity brands’. These products define the user, his/her way of life. The user will always have affinity to these products and inturn a larger network effect which will enable the company to charge a premium culminating into higher margins and ROEs. Had come across this article sometime back and it has relevance to what you have tried to explain above. Jatin Bhai great analogy. The last two businesses IMHO should get a much higher valuation from a moat perspective, ceteris paribus. According to my understanding these brands/products define the person using them. People relate a person with that brand. This creates loyalties for a particular brand, a cult like situation, eg. Every one knows Harley Davidson rider is gonna be a 6 foot+ guy with a long beard 😀. With the loyalties created there will be network effects helping companies/brands to charge higer inturn helping margins also ROEs.